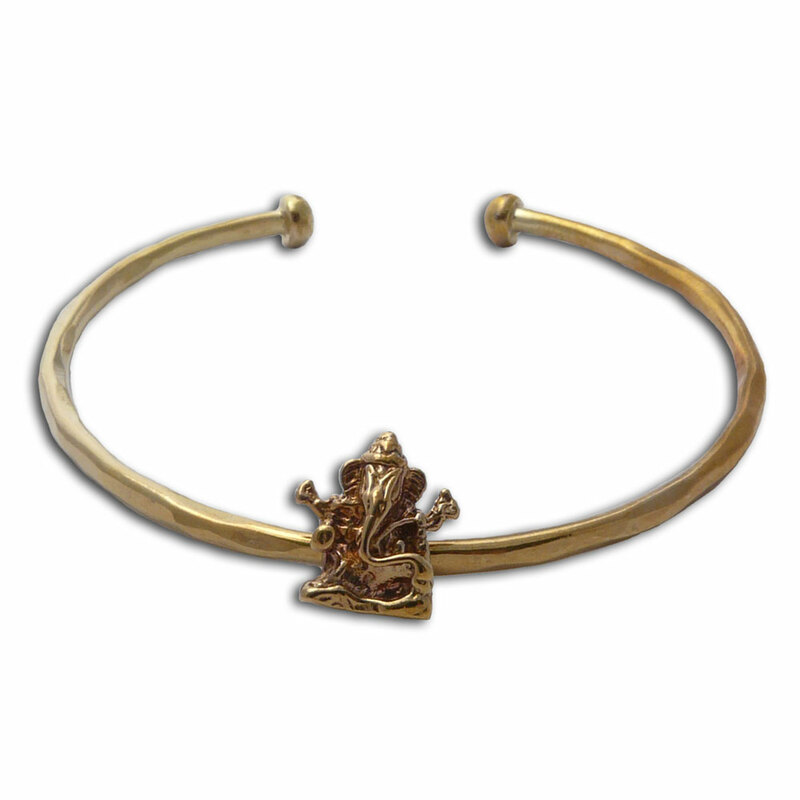 A cuff-style bracelet with moving ganesh statue charm can be worn by men or women. Ganesh is the Hindu elephant god who removes obstacles and bestows knowledge. Made of recycled brass. Sturdy, beautiful, eco and fair trade! 7 cm diameter open, 1.5 cm ganesha, 15 g.
3-dimensional statue ganesh charm with a spring clasp. This tiny ganesh charm is easy to add to your charm bracelet, necklace or anklet with its spring clasp. It is 1.4 cm tall. Very cute! 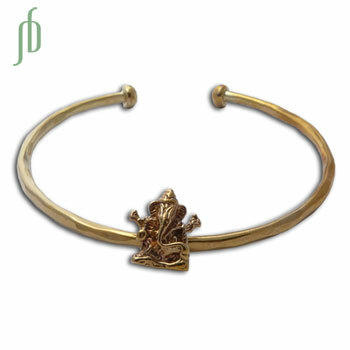 Carry Ganesh, the remover of obstacles and bestower of knowledge with you wherever you go. This ganesh pendant is ideal for men and women. Ganesh is the bestower of wisdom and remover of obstacles. Sterling silver modern ganesh neckace. The ganesh pendant has a shining cubic zirconia stone on the third eye to create awareness and clarity. Your choice of purple or black cotton cord necklace 16"/42 cm.